Thank you for participating with us during the Uptown Hamel open house events. We all enjoyed engaging with, and learning about, the Uptown Hamel Medina community! We have analyzed the data we collected and created a second survey informed by what we learned from you during the open houses. This visual preference survey asks participants to select their preferences from a series of images. It should only take about 10 minutes to complete and will be available until May 2nd. Please share the survey with your Medina friends and family! 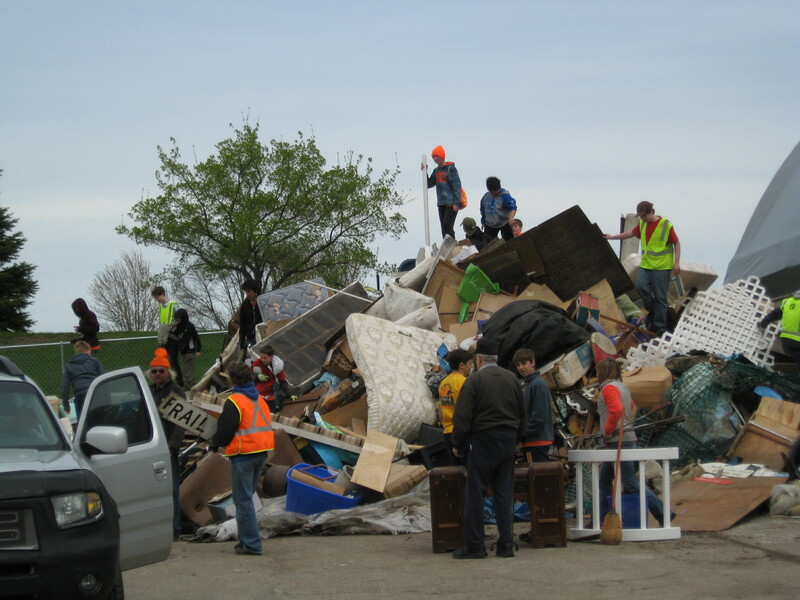 The City’s annual Spring Clean-up Day will be held on Saturday, April 27, 2019 from 8:00 AM until 12:00 PM (rain or shine). The event will take place at the Public Works/Police Facility at 600 Clydesdale Trail. Event details, pricing, and a list of accepted/non-accepted items can be found on the attached Spring Clean-up Day brochure. Spring weight restrictions are effective as of Friday, March 15, 2019 at 12:01 A.M. There will be NO permits issued, other than for emergency utility situations. During spring weight restrictions, City of Medina streets are limited to 4-ton axle weight unless explicitly identified with a higher allowance. The 2019 map details the roads with weight limits. In the case of any inconsistency between this map and posted signage, enforcement will be based upon posted signage. Weight restrictions are usually in effect early spring through May 15, but the determination will come as the weather conditions improve. The reason for the restrictions is to protect our roads and keep the cost of road repair down for all taxpayers. We ask all of our residents and business owners to keep an eye out for large trucks using the roads during this period. If you see them using a restricted road, please call 9-1-1 to report it immediately. Help protect our roads! The City of Medina and the City of Plymouth are working together to make improvements to Brockton Lane from Medina Road to Hamel Road. 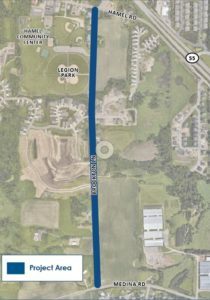 This project will include full reconstruction of the street and converting it from a rural to an urban design to accommodate recent growth, as well as the addition of a trail, turn lanes, utility, and drainage improvements. Construction is scheduled to occur during the summer of 2019. The project team is currently completing the preliminary design phase of the project. The team will then move into the final design phase following the open house in December, which will last throughout this winter. Bids have been accepted and construction is expected to begin in May. Construction is expected to conclude in October 2019. Construction will be completed in two stages— Medina Road to 44th Ave/Basswood Rd, and 44th Ave/Basswood Rd to Hamel Road. Stages will be closed to traffic when they are being constructed, but access will be allowed to residents along the project area. For questions about the project, contact project manager Dan Lonnes at danlo@bolton-menk.com. On December 11, 2018, the Planning Commission held a Public Hearing on a series of rezonings for properties which were changed within the 2020-2040 Comprehensive Plan. The rezonings have been tabled until further discussion at the Planning Commission meeting which is scheduled for March 12, 2019. The City Council recently adopted the updated Comprehensive Plan, which was the culmination of a multi-year process which included substantial public input at five community meetings, two business forums, thirteen Steering Committee meetings, various Planning Commission, Park Commission, and City Council meetings, and through an online forum. The 2020-2040 Plan includes certain changes from the City’s previous plan. The City is required to make changes to its zoning regulations so that they are consistent with the updated Plan within nine months. Residents may drop off brush or compost Tuesday through Thursday from 7 a.m. to 3:30 p.m. (except holidays) and Friday 7 a.m. to Monday 3:30 p.m. (open all weekend during daylight hours). 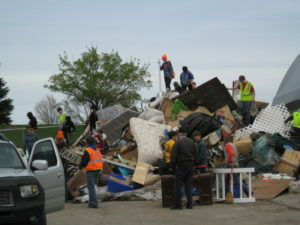 It is located behind the shop building northwest of City Hall, 2052 County Road 24, Medina, MN 55340. 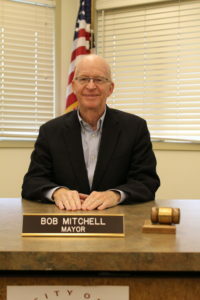 Our dear and quite unique mayor, Bob Mitchell, passed away unexpectedly of acute myeloid leukemia on July 30, 2018. Bob was everything a mayor should be: he listened (rather than judged), he was respectful (rather than pretentious), he critically analyzed all available information before making tough decisions (rather than reflexively imposing personal preferences), he thanked people for their contributions (often with a hand-penned note), he welcomed all who entered City Hall (regardless of age), and with his very unique sense of humor, he always made us laugh. Bob was proud of the City of Medina. He was happy to grill hotdogs on Clean-Up Day, show Boy Scouts what mayors really do, cut ribbons at opening ceremonies and ride shotgun with police officers on Night to Unite. He often took time at City Council meetings to share a bit of personal wisdom, and to speak of our good fortune to live in Medina and to be Americans. Bob reminded us, by his words and conduct, of the utmost importance of civility and kindness in the public arena. Bob was a gentle man who believed that giving was more important than having or taking. And he gave back in many ways. In addition to his public service, Bob was a dedicated member of the boards of Global Minnesota, the Trust for Public Land and the Hill Museum and Manuscript Library. Above all, Bob was a consummate family man. He often spoke of Lucy, his wife of more than 40 years, with a twinkle in his eye reminiscent of someone recounting the details of his first date. After witnessing the tribute his children, Ella, Ned and David, paid to Bob at the memorial service on August 3, 2018, I have no doubt that Bob was a special dad who (through example and not lecture) gifted to his offspring a love of nature, a thirst for adventure, intellectual curiosity and an appreciation of the Golden Rule. Before and after our Council sessions, and during breaks from our sometimes tedious deliberations on city business, Bob’s skill at story telling revealed his love of exploration. We discovered that this humble man, slight in physical build, had raced cars, jumped horses, bicycled through Myanmar, attacked mountains on skis, tethered himself to trapeze artists and bungee cords, and traveled the world, often to places the rest of us would not dream of touring, usually joined by any combination of Lucy, Ella, Ned and David. After serving on the Medina Planning Commission, Bob was elected to the City Council; he was a member of the Council from 1985 to 1992. He was elected mayor in 2014 and represented us all, as mayor, with good humor and kindness, for four years. His wit, intellect, good teachings and integrity will be missed deeply by all of us at City Hall. We, with his family, celebrate Bob’s exceptional life: a life well lived. The Federal Emergency Management Agency (FEMA) recently completed a multiyear project to re-examine flood risks throughout Hennepin County and develop electronic flood hazard maps, which will become effective on November 4, 2016. Federal law mandates that any federally regulated or insured lender require any property with a structure within the Special Flood Hazard Area (SFHA) on these maps to carry flood insurance. Most mortgage lenders will check their loans when the updated maps become effective on November 4, 2016. Lenders will likely send a letter to all properties in SFHA, and other properties that are even close to the SFHA, to notify them that they must purchase flood insurance within 45 days. If a policy is not purchased within this time period, the lender will “force place” a policy, which is normally much more expensive. Flood insurance is available through your agent or one of the agents listed by searching the “Agent Finder” section of FEMA’s Flood Insurance website, FloodSmart.gov. If you have any kind of risk for flood damages, both in or out of the floodplain, the city encourages you to purchase flood insurance. If you live near a lake, stream, or large wetland, you are encouraged to investigate whether your property may be “newly mapped” within the SFHA. View the floodplain map to find your property on the map. What to do if you believe you’ve been inadvertently included in the Special Flood Hazard Areas (SFHA)? There are often scenarios where the boundaries of the floodplain do not accurately reflect the true topographic characteristics of a site. In addition, it is likely that lenders will be fairly conservative when determining if a property may require flood insurance. In much of the county, the boundaries of the floodplain have not been updated with better elevation information since they were originally mapped in the early 1980’s. This newest map update merely digitized these areas – making them easier for everyone to view. If you believe your structure and/or parcel is higher than the actual flood elevation, there is a procedure for appeals known as a Letter of Map Amendment (LOMA). Traditionally, a LOMA involves hiring a surveyor to verify the lowest ground touching the structure, deck or stairs is above the 100-year flood elevation. Under the right circumstances, the city may be able to assist with collecting data rather than hiring a surveyor. City staff may be able to use LiDAR-derived contour elevations from the Minnesota DNR to verify that a structure is above the 100-year flood elevation. If you have any questions, please contact City Planner Dusty Finke at 763-473-8846 or dusty.finke@ci.medina.mn.us.